A young couple visiting Prince Edward Island for the Labour Day weekend thought they struck it rich when a $2 board game purchased at a second-hand store yielded $18,000 worth of diamond jewelry. Chris Lightfoot and Mandy Flack could hardly believe their eyes when they discovered a trove of diamond rings hidden under the box’s false bottom. After the story went viral, a forgetful widow came forward as the rightful owner. Orlanda Drebit had recently donated the MindTrap game to a Charlottetown thrift store, just before she moved out of her home in Bonshaw, P.E.I. She hadn’t seen her diamond rings since the summer of 2015 and was not sure where she lost them. She had rushed out of town to attend the Cavendish Beach Festival and didn’t have time to get to them into a safety deposit box. The next best plan of attack was to hide her precious rings — all gifts from her late husband — where a burglar wouldn’t find them. In a housecoat pocket? In a mitten shoved in a tote bag in a closet? Under cardboard in the false bottom of a 1990s board game? When she returned from the festival, Drebit had no recollection of where she hid her rings. For months, she looked in every possible hiding place. She even checked with the hotel in Cavendish. No luck. By December 2015, she had given up hope. She made an insurance claim and accepted the fact that she’d never see her beloved rings again. 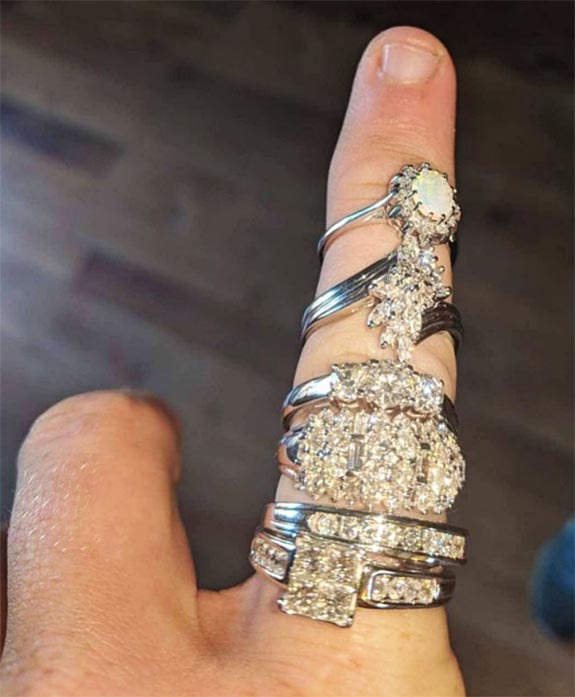 In additional to their intrinsic value, each of the rings held a special connection to her late husband, Donald, who passed away in a car accident nine years ago. Donald appreciated Orlanda’s love for fine jewelry and often lavished her with beautiful gifts — earrings, necklaces and rings. 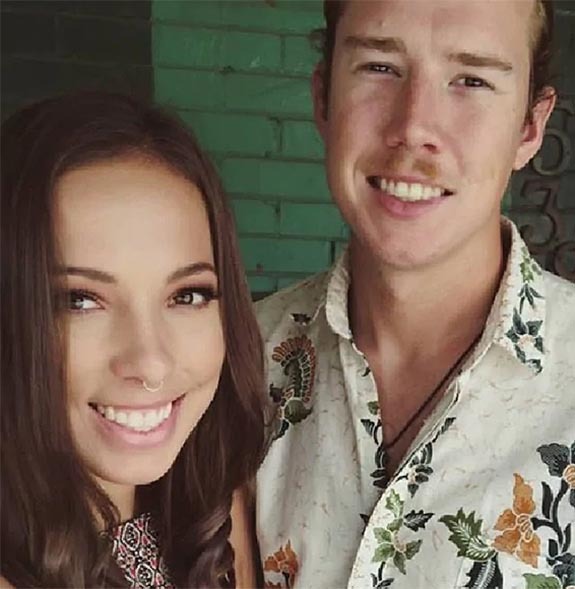 Lightfoot and Flack, who are originally from Sydney, Australia, traveled halfway around the world to establish new roots in Toronto. When Lightfoot’s parents came to visit for the Labour Day holiday, the young couple chose a picturesque fishing village on Prince Edward Island as the perfect destination. In preparation for the visit, the young couple stopped in at a thrift store to pick up a board game. 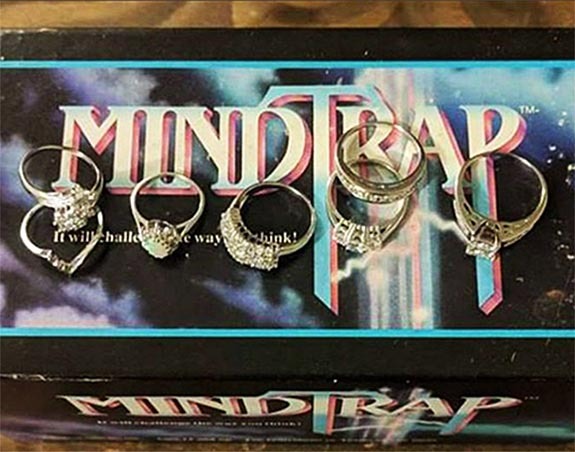 They ended up settling on the 1990s lateral-thinking puzzle game, MindTrap. Lightfoot and Flack recently connected with the widow and are working out a plan to safely return the jewelry to her. Credits: Images via Facebook/mandy.flack1; Facebook.com/chris.lightfoot.148.